Redo Backup is free backup software in the form of a bootable Live CD. You can use Redo Backup to backup an entire hard drive or a single partition to an image file which can then be easily restored via the bootable disc. This review is of Redo Backup v1.0.4. Please let me know if there's a newer version I need to review. Redo Backup supports full backup. Specific partitions and entire hard drives can be backed up with Redo Backup. A backup can be created on a local hard drive, FTP server, network folder, or external hard drive. Redo Backup may not have all the bells and whistles of similar backup software, but I like how quick and easy it is to use. The very first screen you see when you boot into Redo Backup is a large Backup and Restore button. Clicking either one walks you through a super easy to follow the wizard. There are hardly any steps before starting, which speeds up the process. The fact that you have the option to backup to an FTP server is nice, considering this is not always an option for programs that run off a disc. 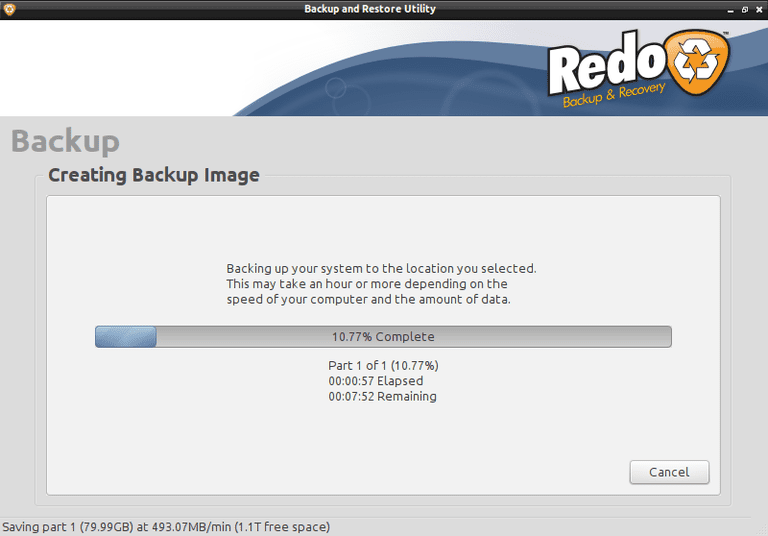 The ISO file for Redo Backup is around 250 MB, which may take some time to download. Also, you must use third party software to burn the image file to a disc because none is included with Redo Backup. See How to Burn an ISO Image File to a DVD, CD, or BD for instructions if you're not sure what you're doing. Because Redo Backup can't modify the bootloader, backups must be restored to a hard drive of equal or greater size than the source, which is unfortunate. In addition to the above, Redo Backup doesn't let you adjust compression level.